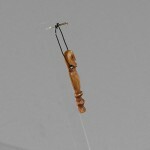 The Lega people are amongst Africa’s best- known carvers and artists. Currently settled in the Kivu province of the eastern Democratic Republic of Congo, they believe themselves to be descended from an eponymous ancestor who migrated into the area from what is now Uganda. They are also known as Wa-Lega (Wa-Rega), Ki, based on corruptions of their actual name by neighbouring groups and Arab traders, respectively. They live in small villages and consider themselves parts of distinct lineages, although to outsiders the “Lega” group is a well- defined unit. They are further defined on the basis of their modes of subsistence. The western Lega settled in the forest (malinga), where they rely on hunting and gathering, while the eastern groups live on poor soils, further denuded by their mode of slash-and-burn agriculture. 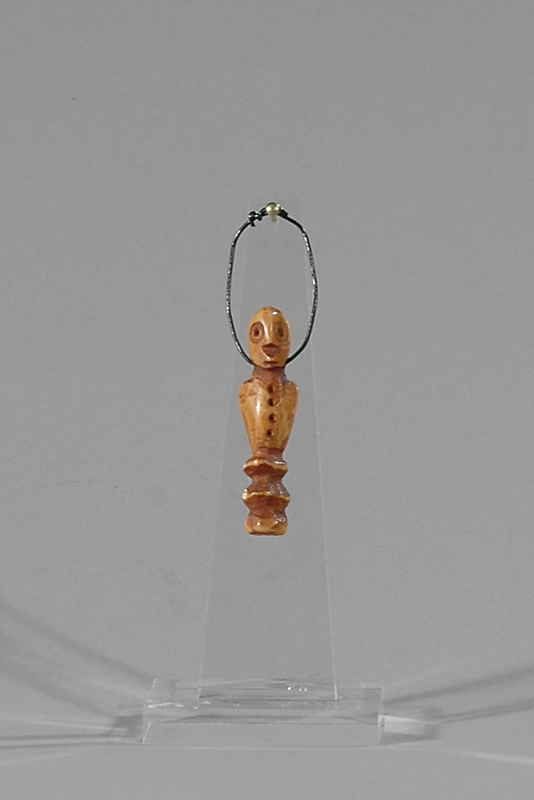 This small pendant belong to men’s society “bwami” just members of the “kindi” level were allowed to possess such ivory figures. 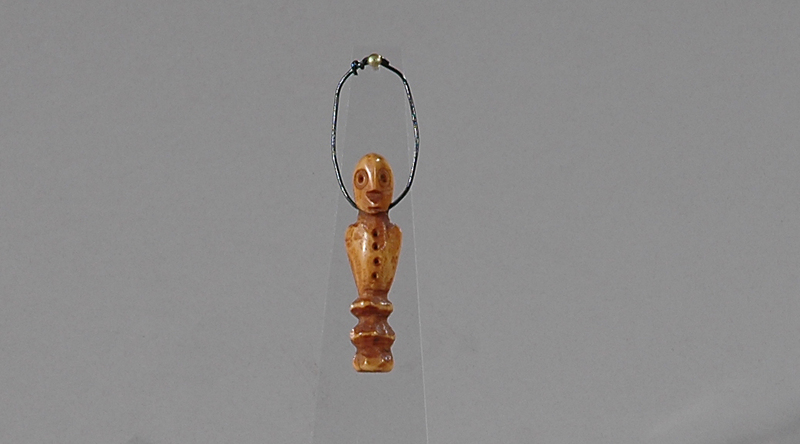 Each object was combined with special proverbs implying positive or negative meaning, depending on the context in which they were has been carved out of ivory in the form of a human. 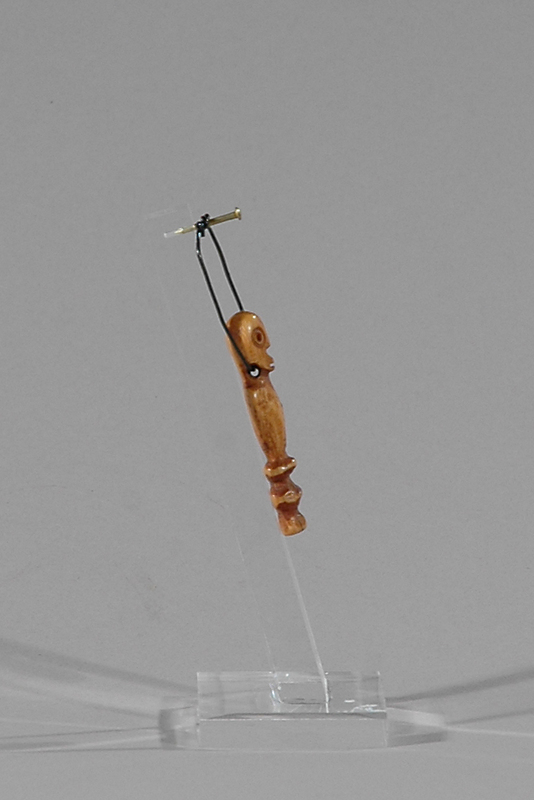 A hole has been drilled where the columnar neck terminates, allowing this pendant to be strung upon a necklace. 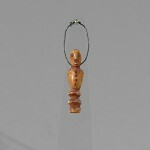 Stylistically, the face is characteristic of the Lega style, including eyes represented by two concentric circles, a motif repeated along the sides of the neck. 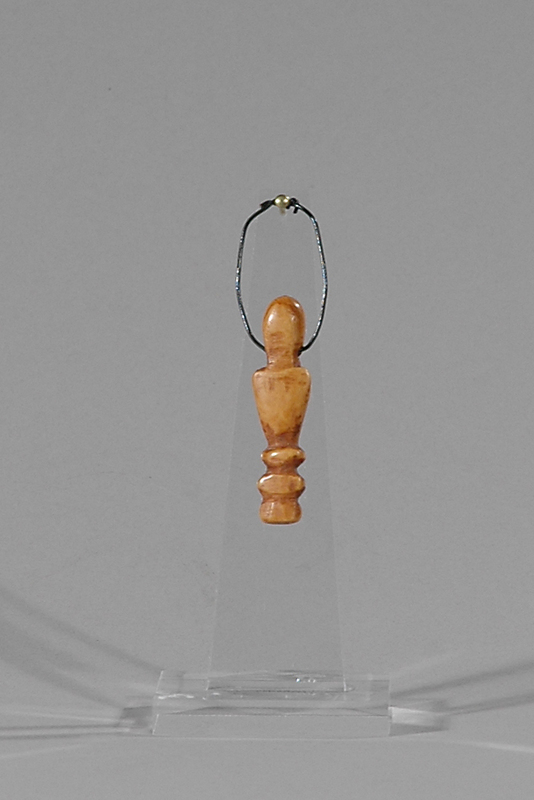 Worn, such a pendant may have served as decoration distinguishing the wearer as someone of wealth and taste. 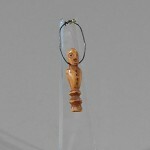 Alternately, it may have had a religious or ceremonial function. 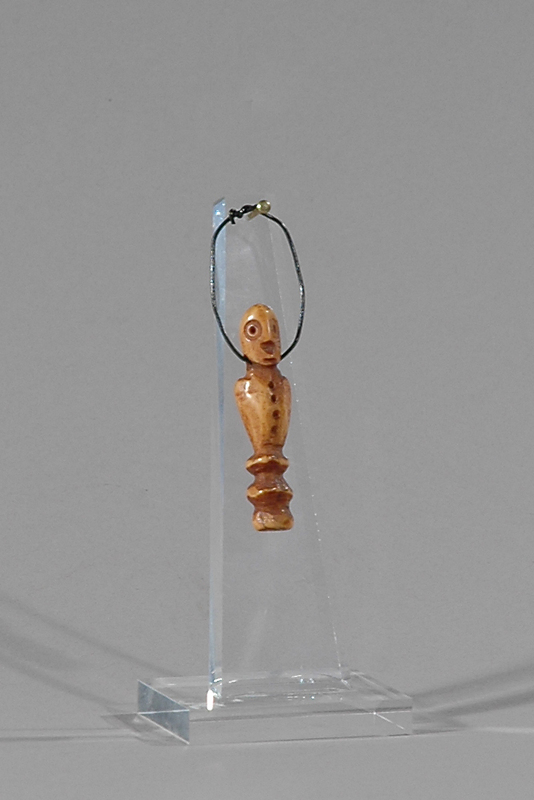 The Bwami society is the context for the production of most Lega art work, which includes ivory and wooden statuettes and masks. 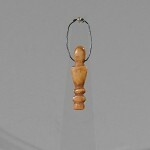 Ivory objects are reserved for the highest level, Kindi, while wooden objects are used by Kindi and Yonanio, the second level. In the 16th century the Lega began their long migration from modern day Uganda into their present location. They were a warlike people whose fierceness inspired those, with whom they came into contact, to adopt many Lega customs. In the 17th century they attacked the Rwandan outpost of Rutshurer on their way to Maniema, just west of Lake Tanganyika, dividing and conquering the people who lived in the region. Many cultural traits have been assimilated into the surrounding cultures, and the Lega still dominate the region today.